I’m sitting here completely stuffed with, drum roll please…DOUGHNUTS! The first doughnuts I’ve had in, let me see now…at least five years. I got on this gluten-free Hanukkah kick because I learned that Hanukkah is a celebration of fried foods! WHY did I not know this sooner?! So The Man and I made gluten-free latkes four days in a row and now the doughnuts. 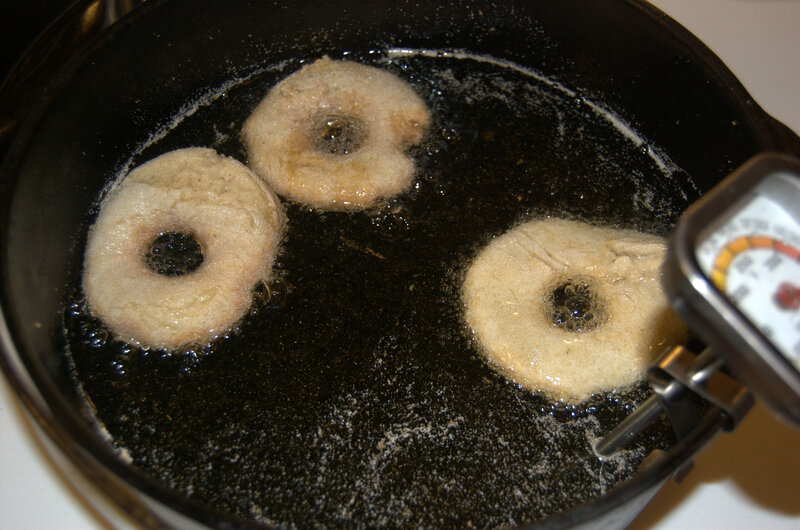 Actually, we attempted to make the doughnuts on Saturday night with some pals, but we had a little miscommunication (couldn’t have been from the hazelnut rum, no) that led to the baking soda, baking powder, and xanthan gum not being added to the dough. So let’s just say they didn’t turn out that well. But tonight we prevailed. We had latkes again for dinner, followed by the doughnuts. Our place smells like a deep fryer. 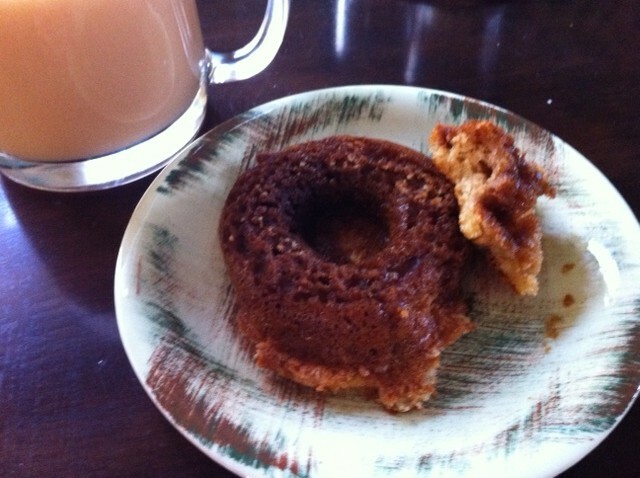 I think I am going to have to make these recipes every year, healthy arteries be damned. Thanks so much to Gluten-Free Bay for such awesome recipes!